Growing up in Morelia, Mexico, Miguel A. García-Garibay discussed nature, plants and insects on mountain hikes with his father, who was an elementary school teacher. By middle school, García-Garibay excelled at biology and mathematics. As an undergraduate, he joined a chemistry research laboratory group in his sophomore year and conducted research for three years, with the goal of discovering new natural products in plants. He collected plant specimens — many used in traditional medicine — and brought them back to the laboratory to identify their components. 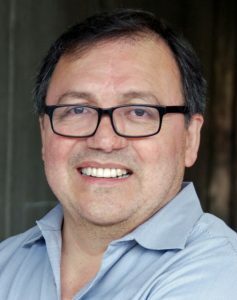 After completing a combined degree in Chemistry, Biology and Pharmacy, García-Garibay went on to get a PhD degree in Chemistry at the University of British Columbia, where he joined the group of Prof. John Scheffer. After that, he joined the group of Prof. Nick Turro as a postdoctoral fellow at Columbia University. A renowned scholar at the UCLA Department of Chemistry and Biochemistry, García-Garibay is now serving as Dean of the Division of Physical Sciences in the UCLA College of Letters and Sciences.